My poor blog is once again suffering from neglect. I blame the start of the second semester of my second year in university (booooo). I’ve been regularly keeping up with dramas nevertheless. Honestly, the first I do when I get home is open the torrent files on my client xD It bothers me that I can’t recap them, but I’m honestly plumb out of time, what with the evil monster that is physics and my other…commitments. Actually no,that’s just me trying to say that I’ve been stuffing every waking hour with as many books, movies and dramas as possibles, while being forced to endure hours of boring lectures, and even more dreadful homework and assignments. Oh, and I’ve that book to write as well. Ugh. It’s just as well that this is a post on procrastination since I haven’t even gotten to the main topic yet. Pinocchio concluded it’s 10 week run two weeks ago (TWO WEEKS? Where did the time fly? And I adored the fitting ending (complete with WEDDING DRESS, Thank you for the fanservice, writer-nim). I’ll admit that this dramas had its share of downs for me. The noble idiocy, the unnecessary angst (see eps 5, 6, 7, 13 and 14) and being beaten over the head with thematic statements was a little too much, and results in this work being far less comparable to Park Hye Run’s previous wonder: I Hear Your Voice. Yet, there were those moments within the show: In Ha firing Dal Po’s agonized words to her mother, Dal Po choosing to take the higher road time after time, Cap, Yoo Rae, Bum Jo’s sacrifice, Grandpa and Dad being perfect, Mom being properly humbled. Moment like that really held this show together, and gave the viewer a sense of awe, and hope. But more than that, it gave them a world where even the most unjust of injustices could be corrected, no matter how many years later, a world where people could heal and be healed, and be loved no matter what (hyung, Bum Jo’s mother). And to do that with such earnestness and joy isn’t easy. But Pinocchio did it, and I’m grateful to have made its acquaintance. Farewell, In Ha and Dal Po, I hope to see Park Shin Hye and Lee Jong Suk together on-screen sometime again. They’ve fantastic chemistry and have clearly done wonders for each other’s career (*coughcough*, I think PSH has cleared herself of that Frozen fish label?). Hopefully they’ll pull a Ji Sung and Hwang Jung Eum and work more of that magic over another good tale? One thing’s for sure, I’ll be down for the ride. Speaking of which, having a pair of established actors, who’ve already shown sizzling chemistry in a previous work, reunite so quickly must be a first for Kdramaland. I don’t think I’ve ever seen or heard of a ship reuniting so quickly, besides the PSH Yonghwa couple, and even that was two years later. This is barely over a year. But hey, I’m not complaining. Ji Sung is love, and regardless of how I feel about what Hwang Jung Eum is doing to her face, she can act, as evidenced in Secret. But that’s not the only great thing about these two. 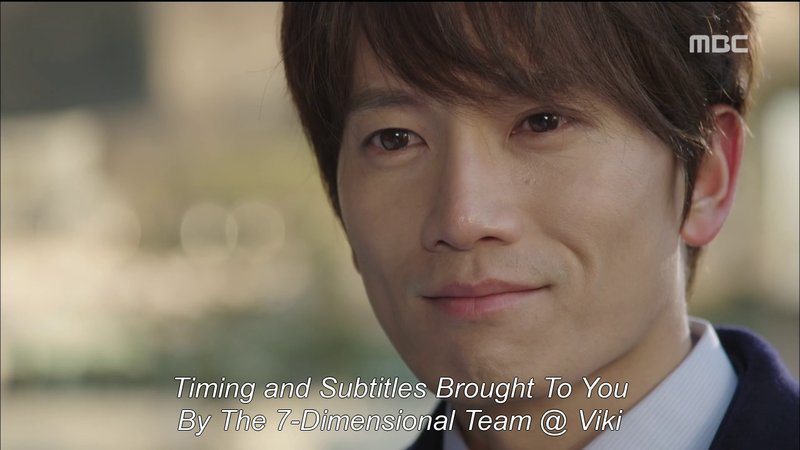 Kill Me Heal Me sounded like an absolute trainwreck until the first teaser came out with Ji Sung the Beautiful. Holy Moly Ravioli. Lee Bo Young is one lucky woman (As is Ji Sung to have such a perfect wife). Ji Sung not only pulls off ALL SEVEN personalities with aplomb and finesse, but his perfection even extends to the main persona. See, there’s always the risk with a personality as magnetic as Shin Se Gi, that the main character turns out a bit lacking. But Cha Do Hyun is…just marry me already. A chaebol who’s not a snooty brat? Sign me up. I love how he not only establishes each persona as highly individual, but extends a few of their characteristics to the main personality. Shin Se Gi’s brains (and if you ask me, a bit of that charisma as well), Perry Park’s haplessnesss, Ahn Yo Sub’s sorrow, Cha Do Hyun embodies all these things and more. And he’s so damn gentle, I can’t stop the squeals whenever he appears on screen. Scratch that, I can’t stop squealing. Period. My mom and sister now believe me to be a mental patient. They may be right. I’m loving the direction KHMH is heading and I really hope that we’ll focus more on the characters and personas, as well as how their past ties them together as opposed to chaebol inheritance thingamabobberies (because those are just dumb, and no one likes Mean Grandma anyway). And if Hwang Jung Eum tones down the screaming (please?) just a bit for the remainder of the show, we’re set in for a hell of a good ride. Gosh I love this show! And speaking of good rides. Doctor Frost evolved into the most abysmal waste of a good concept that I’ve ever seen. I stuck by this show faithfully, ignoring the wise words over at HanCinema and I get rewarded with dogshit. Literally, I don’t know whether I’m so pissed at this show because I expected so much, or because it’s just dumb. Put a pair of good actors like Song Chang Eui, Lee Yoon Ji, Jung Chae Eun and the fellow who plays Cheon Sang Won (and played that role for half a billion other shows), and you end up with this mess? The show is lackluster to say the least, even the previews for the next episode fail to inspire interest. After ep 6, I was honestly weeping tears of blood in disappointment (okay so slight exaggeration there). But gosh, what a waste of such good talent. The recaps likely won’t be continuing. Firstly because of school, and secondly because I’ve a book to write and not enough time to use on recapping (Forgive me Song Chang Eui, you did your best). To the wonderful people who’ve even googled the name of this blog in hopes of Doctor Frost recaps (I don’t who you are, random person, but you made my day with that search term) and to those who’ve been following the recaps on this blog the whole time, I sincerely apologize. Firstly, for how late the recaps were in coming, secondly for the fact that I’m not continuing them and thirdly, if you still love the show and I’m raining over your parade. I’m really sorry about this, and really grateful that this blog has gained the number of view it has over the pat three months. I’m really truly grateful for each and every person who reads/skims these pages. Thank you all so much! I’ll continue a bit more in the next post. I think I’m going to need more space for the Healer squeefest.